Are you interested in bowfishing but you don’t know where to start? While learning the basics of bowfishing is an important task, choosing the right equipment and gear is essential, too. Finding the right bowfishing bow may be difficult if you’re not acquainted with the different choices out there. 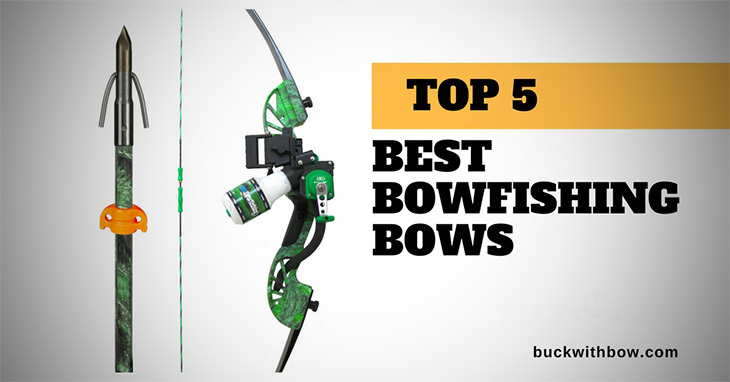 To help you out, I’ve made a list of my Top 5 best bowfishing bows that you can choose from, depending on your style and needs. 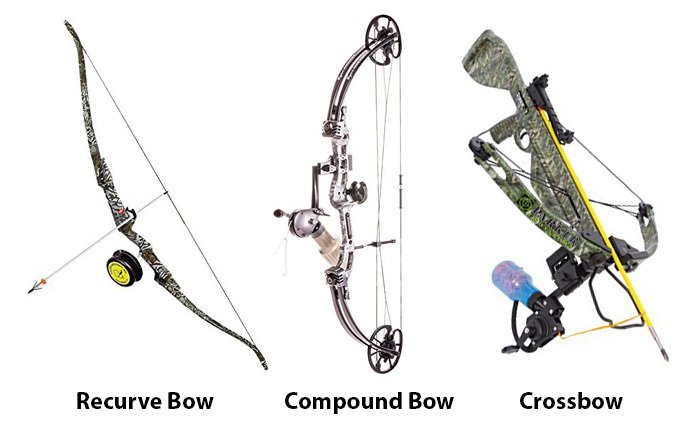 There are three types of archery bows that most bowfishers usually choose from. The first one is the recurved bow, which is a traditional longbow with its limbs curved outward, making it smaller, more compact, and more able to fire quicker arrows. The second one is the compound bow, which is a modern bow comprised of different cables and pulleys, designed to be more energy efficient and to release arrows faster. It is also small compared to a traditional longbow so it’s easier to make room for it in your boat. The third one is the crossbow, which may be heavier and clunkier than a recurve or a compound bow, but may have the advantage of being easier to use, since you won’t need to draw the bow—you just aim and then press the trigger to shoot. In general, you can’t use your usual archery arrows for bowfishing because they won’t work as effectively in the water. Instead, you need to invest in a good set of bowfishing arrows that can penetrate the water and pierce your target with ease. Bowfishing arrows do not have fletches because they don’t need air stabilization. Instead, they have barbed tips—similar to fishing hooks—that will pierce the targets and hook them into the arrows. 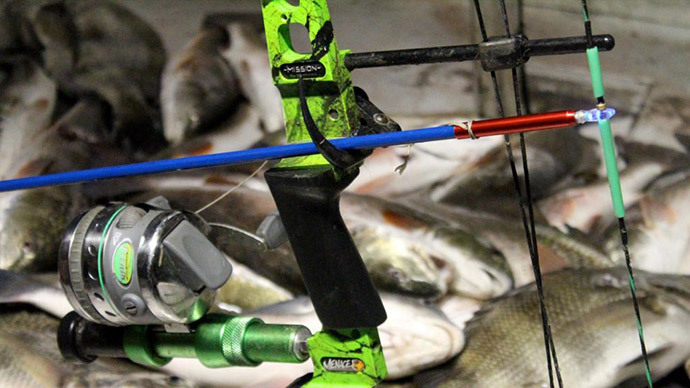 Bowfishing arrows also have a mechanism that you can use to tie your fishing line in. There are three basic reels for bowfishing that you can choose from. The first one is the hand wrap drum reel, which is the simplest type. Unfortunately, it is also the slowest, so there are fewer chances of successfully hitting a quick-swimming target if you use this. 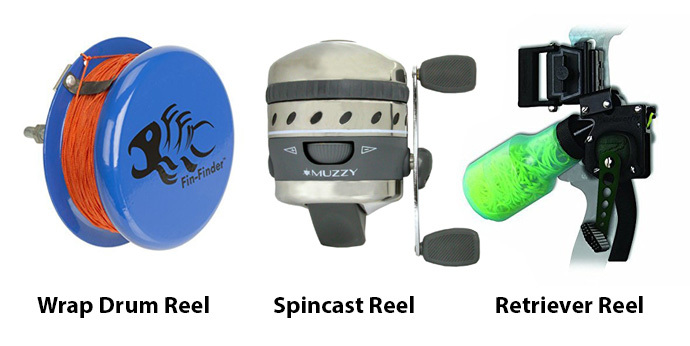 The second type is the spincast reel, which is similar to the spincast reel of a traditional fishing rod. This is often quicker than a hand wrap drum reel, but may not be that durable because the constant spinning may easily wear it down. The third type, and the one preferred by more bowfishers, is the retriever or bottle-type reel, where the line is stored in a bottle and then attached to the arrow. This makes the arrow shoot faster and avoids knots and tangles that may happen if you keep the line around a spool. A bowfishing line should be light enough to let the arrow fly at maximum speed but still durable so that it won’t snap off even when your target struggles against it. Some strings even have an attached float to make it easier for you to spot your target once you hit it. Weight. When choosing a bowfishing bow, try to look for something that you can carry for long periods of time. A lighter bow is usually better because it won’t strain your arms as much. I find that this is important because you may need to hold your bow for long periods and aim it into the water while waiting for the optimal position of your target. Length. I like a short bow better than a long one because it is usually easier to aim and there are fewer tendencies for it to hit my knee while I’m aiming. This is advantageous whether you’re in the boat and need to lean on the railing, or you’re in the lake or river and you need to keep the bow out of the water because otherwise, it will affect your aim negatively. Fast draw. Timing is an important aspect of bowfishing, and you need a bow that will help you make accurate shots at the shortest time possible. A good bowfishing bow should allow for fast and easy drawing and snap-shots, or when you let go of the bow without having to do a full draw. Durability. As you get more used to bowfishing, you will most likely encounter big fish that would put a fight when you try to reel it in. Your bow and reel should be strong enough to endure your catch’s pull, and the line should not snap, as this would mean that you’ve lost both your catch and your arrow. Wooden stick. I find that a thick branch or piece of wood comes in handy when I need to quickly whack a big fish that is thrashing my boat. You can simply pick a sturdy branch from your backyard or buy one from your local hardware. Gloves. A good pair of gloves may help protect your hands when you’re reeling in your fish, especially if you’ve been out in the water for a long time. Sunglasses. I always bring my trusty pair of sunglasses when I go bowfishing in the daytime because they protect my eyes from harmful UV rays that reflect in the water. Just make sure you don’t get sunglasses that are too dark, which may affect your vision and make it difficult to spot your targets. Fishing bucket. Do you relish the thought of having fish guts all over your boat? I don’t, which is why I’ve invested on a durable bucket where I can toss my catch’s blood, slime, and entrails, instead of letting them mess up my boat. I have mixed feelings about the Cajun Archery Fish Stick Ready-to-Fish Bowfishing Bow. On the one hand, I love that it’s so inexpensive and comes with many additional accessories, like the roller arrow rest and an arrow with a Piranha point. On the other hand, I’ve experienced quite a few issues with the model, particularly when setting it up. The package does not come with an instruction manual so you may have to find an online instructional video if you’re not familiar with assembling a recurve bow. I do love Cajun Archery’s red Kryptek camo design, and the fact that the bow is easy to use once you’ve managed to set it up. If you want something cheap and don’t mind sweating a bit on the setup, then you may want to check this model out. I’ve always held the PSE brand in high regard because of its good quality products and service. Its Kingfisher Bowfishing Kit is no exception. I just love how durable the bow is, and I’ve personally experienced reeling in a 20-pound carp with it. My only issue is that the string that comes with the kit isn’t as durable as I’d like, so I recommend that you purchase a separate bottle-type reel with a strong fishing line when you get the chance. Otherwise, I find that this model is good value for your money and is something worth checking out. If you’re not skimping on your budget and are willing to shell out a bit more money, then the AMS Bowfishing MOC Bowfishing Kit may be a good investment for you. This model is a delight to have, and I’ve used it to catch some heavyweights in my usual bowfishing spot. What I love most about this AMS model is that the limbs are sealed and laminated, so I don’t have to worry about water seeping into the material and making it fragile and breakable. The riser is also made of lightweight magnesium, making the bow strong and durable. While this product may be heavier than the other two recurve bows in this list, I feel that its add-ons more than makes up for it. For one, each kit comes with 105 feet of high-grade 305# braided Spectra fishing line, more than double of what other brands may offer. It also comes in an adorable green color with koi accents, making it a beauty to look at, whether you’re in your boat or wading in the water. If you’re more comfortable using a compound bow, then the Cajun Bowfishing Sucker Punch Bowfishing Bow may be a good choice for you. 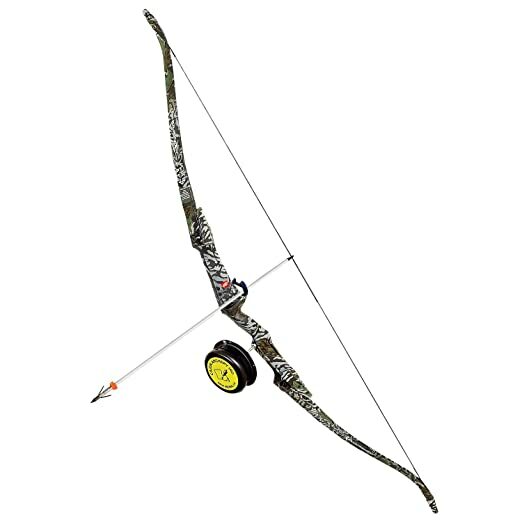 Made of durable materials and weighing only 3.2 pounds, this heavy-duty bow is easy to use and adjust, depending on your draw weight and specific needs. 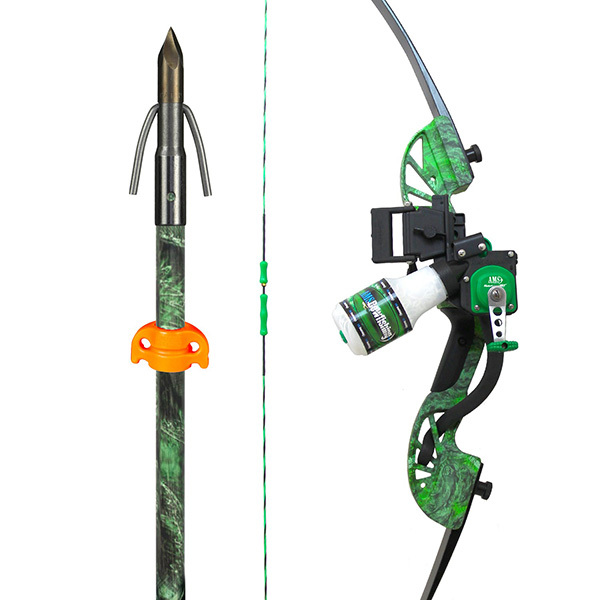 The Sucker Punch Bowfishing Bow also features a hybrid reel, combining the good points of a spincast and a bottle-style reel—the spincast feature makes it easy to reel the line back in while the bottle feature prevents snags and tangles. You may want to check out the cam wheels before taking this model for a test run, as there may be burs in the grooves. If you find some, make sure to file them down first so they don’t end up snapping your string prematurely. Crossbows may not get a lot of love when it comes to bowfishing, but I think the Parke Stingray Open Sight is still worth checking out. For one thing, I find that it is easier to use than a recurve or compound bow because you don’t have to draw the bowstring before making a shot. Another advantage of this model is its many interesting and useful features, like the EZ Pull System that may reduce your cocking effort by at least 50 percent, and the AMS Retriever Pro Bowfishing Reel that prevents drags and improves line control. This model is the most expensive one on this list and is the heaviest, too. If you decide to purchase this product, be mindful of rust accumulating on the cocking bar and other parts if you do not take the time to dry it off and oil properly after every use. If you’re willing to spend a bit for a high-grade and well-performing bowfishing bow, then the AMS Bowfishing Water MOC Bowfishing Kit may be a good investment for you. Its laminated wooden limbs and magnesium riser promise strength and durability, and I think its additional features make it a cut above the rest. 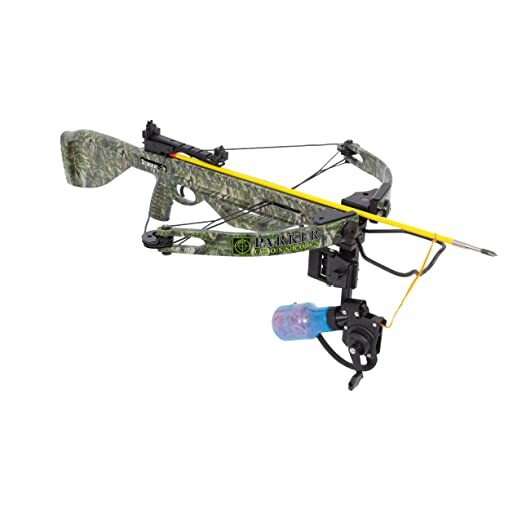 Coming to a close second is the PSE Kingfisher Bowfishing Kit, which is also a good choice if you’re on a tighter budget. 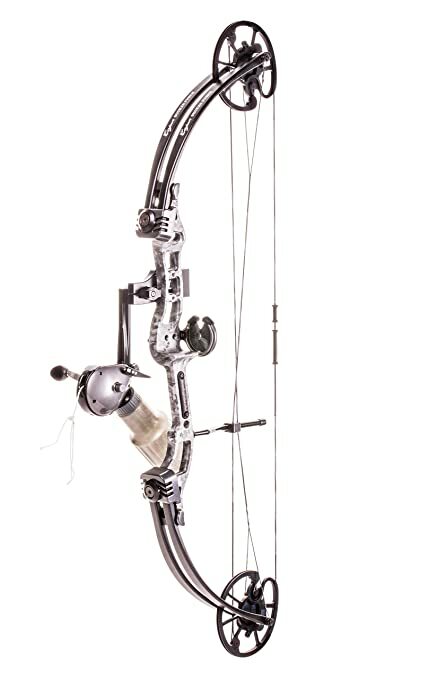 This heavy-duty bow can handle catches of up to 20 pounds (or even more!) and is also very easy to set up and use.